Explore the Ningaloo Reef with Sail Ningaloo and enjoy a unique, world-class eco experience, with personalised and professional service on board the luxurious sailing catamaran, Shore Thing. 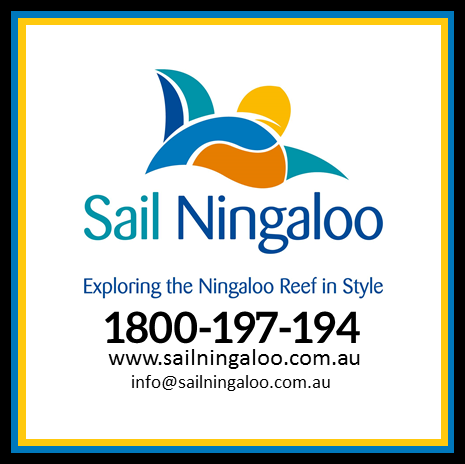 Sail Ningaloo offers small group, three, five and nine-night live-aboard tours in the pristine waters of Ningaloo Reef from March to December. Feel the sense of excitement discovering the underwater world of the Ningaloo Reef which is amongst only a handful of coral reef systems in the world that is still in pristine condition. The abundance and variety of marine life and spectacular corals is second to none in the world. It is very likely you will encounter humpback whales (in season), dolphins, dugongs, manta rays, marine turtles, giant cod, reef sharks and much more. Quality meals and all activities included, such as Snorkeling, Scuba Diving, Kayaking, Eco-fishing and Whale Watching (seasonal) to ensure you receive the adventurous getaway or relaxing holiday you desire. Sail Ningaloo also caters for exclusive, tailor-made tours and special interest groups. Located half way between Perth and Broome on Western Australia’s Coral Coast along the World Heritage Listed Ningaloo Reef, Coral Bay is an hour and 10 minutes (110km) drive south from Learmonth Airport, the drive north from Perth to Coral Bay is approx.1180km. Coral Bay is 12km off the Exmouth/Minilya Road on the coast. The snorkeling and diving experience is world-class as you surround yourself with pristine coral reef and an abundance of fish and other marine life.Your destination is the beautiful Sandy Point and Pelican Point Sanctuary, perfect places to explore the shallow reef lagoons either by kayak or by donning a mask, snorkel and fins. Shore Thing is available for private charters, join with your family and friends and enjoy an exclusive experience. Accommodates 8 - 10 guests maximum. A marine life safari tour! On departure, we wind our way through spectacular dense coral formations that surround Coral Bay. Sail north along Batemans Bay to swim with manta rays, visit Point Cloates where there are often numerous turtles in the shallow waters and step ashore to explore the ruins of the Norwegian Bay Whaling Station. Plenty of opportunities to snorkel and dive varied sites along the Ningaloo Reef coast, including the historic shipwreck of The Finn. Package a 3 night and 5 night tour together and experience the ultimate Ningaloo has to offer. Prices start from $1800 per person (price depends on style of cabin and length of trip booked). Tours depart at 4pm on departure day and return at 12:30pm on the final day. Our transfer bus will pick you up 15 minutes prior to departure.